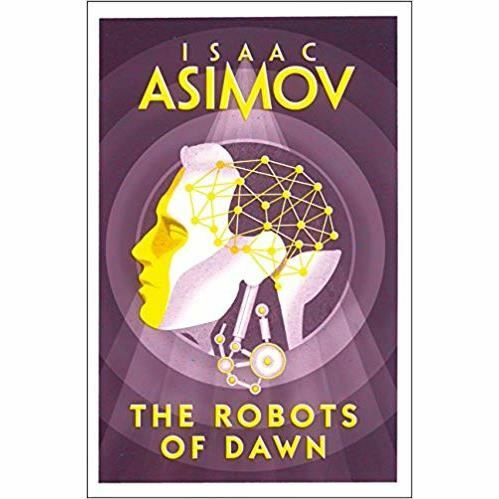 Isaac Asimov’s ROBOT series – from the iconic collection I, ROBOT to four classic novels – contains some of the most influential works in the history of science fiction. Establishing and testing the THREE LAWS OF ROBOTICS, they continue to shape the understanding and design of artificial intelligence to this day. On Aurora, the first and greatest of the Spacer planets, Elijah Baley and R. Daneel Olivaw investigate yet another seemingly impossible crime – this time, a roboticide. Someone has destroyed the positronic mind of R. Jander Panell, a humanoid twin to Daneel. His creator, the master roboticist Han Fastolfe, denies all involvement. So does Gladia Delmarre, the robot’s owner. And lover. Working in the heart of Spacer politics and civilisation, Baley and Daneel soon realise that their decisions will have profound consequences not only on relations between Earth and the Outer Worlds, but on mankind’s place in the galaxy. 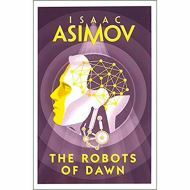 On Aurora, the first and greatest of the Spacer planets, Elijah Baley and R. Daneel Olivaw investigate yet another seemingly impossible crime – this time, a roboticide. Someone has destroyed the positronic mind of R. Jander Panell, a humanoid twin to Daneel. His creator, the master roboticist Han Fastolfe, denies all involvement. So does Gladia Delmarre, the robot’s owner. And lover. Working in the heart of Spacer politics and civilisation, Baley and Daneel soon realise that their decisions will have profound consequences not only on relations between Earth and the Outer Worlds, but on mankind’s place in the galaxy.